Went Multi species today. Fishing Report was good overall. 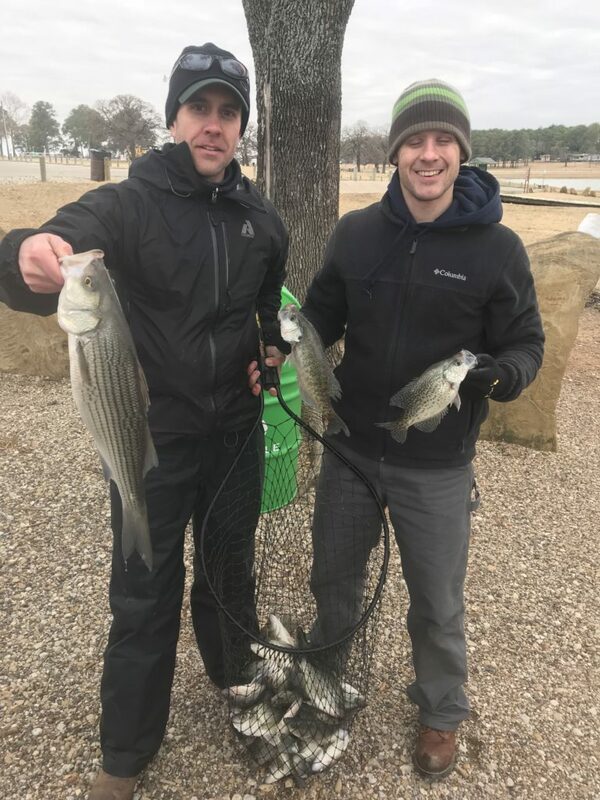 Caught Crappie, Sand Bass and a nice Hybrid Bass. Fishing was good! Trophy Blue Catfish coming soon! Book now for the big Blue Cats! Good day on the Lake. Fishing with the heater on board! I do winter fishing the best! When it comes to fishing for different species of Fish @stevesproguide is on point. No matter the weather condition there is always some type of fish biting and I know where to find them.